You’ve earned it. The time and space to live life to the fullest. That’s what our Independent Living program provides, for folks who need little or no help with their daily routines. We’ll take care of the housekeeping, cooking, dishes, transportation, exercise classes and everything else, so that you can focus on…well, whatever you want! Explore new hobbies and interests, make new friends, go off on excursions and savor the good life in a place that’s truly your home. Everyone needs help, and as we age, we need more. That shouldn’t stop you from living life to the fullest. Our Assisted Living program is custom-designed for folks who can no longer live alone, but can get along just fine with help from family, friends and, of course, our friendly team, who are professionally trained to support you whenever you need it. It’s not easy to deal with Alzheimer’s and other dementias, but it can be easier when you’ve got a best friend. That’s because the personal relationships that are crucial for effective dementia care revolve around the essential elements of any true friendship: respect, empathy, support, trust and humor. That’s why we’ve adopted the internationally recognized Best Friends™ method of care that centers on individual strengths and abilities, rooted in your life story. Dementia Expert and co-creator of the The Best Friends Approach to Memory Care David Troxel is an internationally known expert in Alzheimer’s disease and memory care, with over 25 years experience developing and teaching care techniques as a consultant, writer and speaker. He co-authored the book The Best Friends Approach to Alzheimer’s Care, along with many other influential Alzheimer’s-related books and resources. 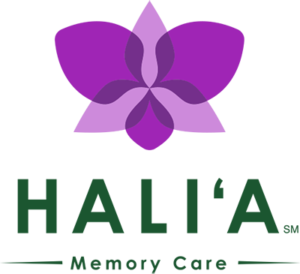 At the core of the Hali‘a Memory Care program is a diverse group of Best Friends-certified dementia care partners. They’re professional communications experts, activity partners and life story biographers trained to provide the highest quality dementia care possible. As a Best Friends-certified environment, The Plaza and our team are here to help seniors with memory loss live the best and most independent life possible. Lamaku Extended Care services were created to expand the continuum of care within the Assisted Living community. 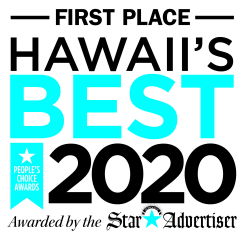 This may be a long term or short-term option for residents. Sometimes a few days in the hospital is just not enough time to recover and rehabilitate before heading home and other times residents decline and just need more care. Lamaku Extended Care will allow team members at The Plaza to provide care to non-ambulatory residents, including positioning, turning, and monitoring. Families and residents will enjoy the benefits of using the common areas of the Assisted Living community while still receiving the care their loved one needs. The Plaza’s Respite Stay Program provides the same exceptional services offered to permanent residents. No care difference, just a shorter term stay. We provide independent and assisted living, as well as memory care services in a comfortable home-like environment. Respite guests enjoy the same services, amenities and personal care in comfortably, furnished 1-bedroom, studio or companion suite apartments. Exact apartment types are dependent upon a person’s care needs and availability.